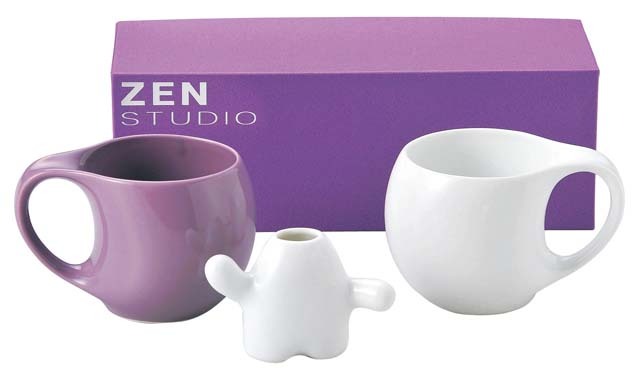 This is pair of china mug cups (purple and white) with a small cute white base. Modern Japanese design. Ideal item for a wedding gift, birthday gift, etc.